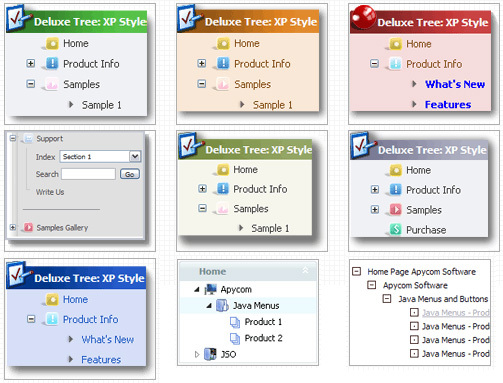 Q: I am using the tree menu script in a frameset, and I would like for the selected menu branch to stay highlighted after the user moves the mouse to another window(where the menu brings up a new page),just so the user knows where he/she is. We've tried a number of things and can't quite get the tabbed corners in IE. Any suggestions would be greatly appreicated, we need to get this menu live soon for a client of ours. Thank you in advance. We've checked your page in IE6, IE7, IE8. All images displayed correctly. So, whatever server you'll use, youshould install the menu the same way. 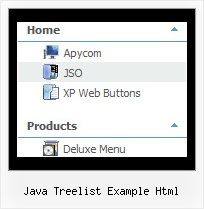 Kawa News and Change Summary You have the option of using JDK 6's builtin web-server for auto-configued web pages. when it sees the Java type java.lang.String, for example in the argument to an invoke. Index (CS399J Java Example Code Summer2010 API) This package contains examples of Java servlets that are deployed to a web This package contains example of interesting and tricky Java programs from the "